Creating a company website has the potential to increase business and help your company grow but you need to make a good impression on your visitors right from the start. Your website must have a professional appearance and provide all the necessities of a fully functional, easy to navigate site that keeps users coming back. Our professional web designers can help you achieve these goals but there are a few things you need to do to ensure success. It’s important for you to work together with your designer and provide direction. This is the only way he will have the information needed to design a site that meets your needs. You can’t just say, build me a business website and expect them to do a professional job without discussing details. By communicating with the designer efficiently and providing the correct information, we can bring your visions to life and design the website that meets all of your business needs. Before the web designer can create a site that suits your business, he needs the answer to several questions. Answer these questions as thoroughly as you can because the more information you provide, the better the designer can meet your needs and expectations. What is the purpose of the site? This includes your short and long-term objectives so it’s good to have your online plan available. Who is your target audience, where do they live and what is the main thing you hope users will do when they visit your site? Is the web design the only thing you need the designer to create or do you also want him to create your logo, set up security or implement special features? Do you need the designer to recommend or help set you up with a trustworthy domain registrar and hosting company? What kind of social media presence do you have? For example, do you also have a Twitter, Facebook or Instagram business account? What kind of content do you plan to put on your site? Having the answers to these questions will help get your project off to a good start because it will give the designer a clear picture of what you want when the site is complete. Even though you do need to work with the designer and provide him with direction, you still need to be open-minded. 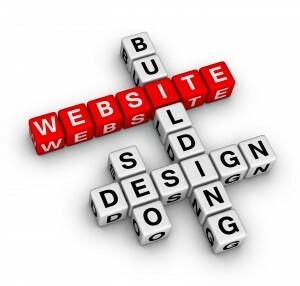 Web designers need to respect your wishes and design your site the way you want it done. However, you hired them for their expertise so it’s important for you to listen to their advice. Our professional web designers have the knowledge and experience to know if something you’re suggesting will benefit or hinder your website. If we don’t think something you want is a good idea, then we can make suggestions for an alternative that will work better while still accomplishing your goals. Use these tips for working with your web designer and you can have the website design you envisioned for your online marketing campaign.